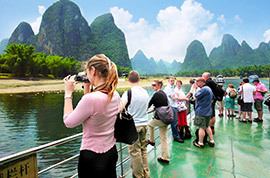 "Quick, Easy and Smooth" are the features of our China tours from New Zealand. 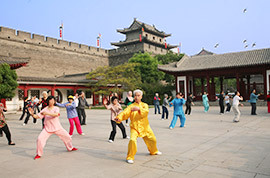 For travelers who are keen to go on a hassle-free China tour, the following all-inclusive small group packages from New Zealand are unbeatable options. Considering weather conditions and natural scenery, September and October would be the best time for taking China tours from New Zealand. The temperature is moderate and fluctuates around 20°C (68°F). The autumn scenery is colorful with ripe fruits and tree leaves turning yellow and red. May and June with blooming flowers are also good months for travelling in China. The thing you need to notice is that Chinese National Day holiday from Oct. 1 to 7 and Spring Festival Travel Rush are two travel peaks to avoid. Do New Zealand citizens need a visa to travel to China? New Zealand citizens need a visa for taking China tours unless you can enjoy the visa-free policies of China. Applicants can submit documents including passport, application form, personal color photo, and round-trip air tickets and hotel reservations or an invitation letter from a China travel agency in person or by mail. There are plenty of direct flights between New Zealand and China. If taking China tours from New Zealand with airfare included, it's most convenient to depart from Auckland, as it has the most direct flights to China. In Christchurch, there is a direct flight to Guangzhou, taking about 12 hours for a one-way journey. If departing from other cities, you may need to make a transfer on the way. New Zealand Daylight Saving Time from the last Sunday of September to the first Sunday of April is five hours earlier than China. Its standard time is four hours ahead of China. Chinese Yuan (CNY), the legal tender, is used throughout mainland China. The basic unit of CNY is Yuan, which can be further divided into 10 Jiao or 100 Fen. Many travelers may need to exchange money in home country or after arrival in China. Currency exchange service are available in big banks, star hotels and international airports. New Zealand uses the same type of sockets as China, so you don't need to take a plug adapter for China tours from New Zealand. Voltage converter is not necessary either. You should not drink tap water directly in China for health concern. Bottled water is cheap and can be bought in all convenience stores. Most hotel rooms have an electric teakettle for you to boil water. Tea is commonly served in restaurants and a variety of soft drinks, beer, and wine are available for purchase. If you book China tours from New Zealand all inclusive with us, we will offer you a bottle of water each day for free during your trip. Note: Ignore the city code if you are calling a cell phone number. If you have booked China tours from New Zealand all inclusive with us, an English-speaking tour guide will accompany you during the trip, so you actually won't have big problems in language. Learning simple phrases for daily communication can help you understand locals when shopping or hanging out during your free time, especially in small cities and remote areas.